Oyo State, like many other states in Nigeria is grappling with overcrowded prisons and a backlog in court cases. 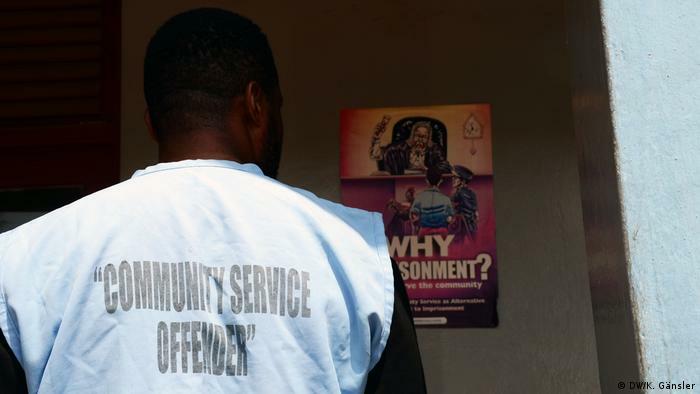 But in a bid to change this, Oyo State is now punishing lighter crimes with community service rather than jail time. Their positions are new and were created as a part of a reform of the judicial system in the state of Oyo. Since 2017, people who commit petty crimes such as stealing food, can do community service instead of jail time. Olaoye is a field officer. “A field officer is there to supervise the offenders, to take them to the field, to supervise them to work,” he explains. Olaoye greets a young man standing outside the office. The man, who doesn’t reveal his name, slips into a light blue shirt bearing the words “community service offender.” He started his three-month-long service just a few days ago. The man seems irritated and says that he isn’t guilty of the crime he was accused of committing. “What brought me here to community service was my salesgirl. She worked for me and she stole my money. When I wanted to take stock, she ran to the police station to report me,” he says. “Before I knew what was happening, they took me to court. In court, the girl said she lent me money.” For the next few weeks, he’s been set the task of sweeping the corridors and cutting grass around the courts. Although he is not happy with the sentence, he agrees that community service is better than serving time in jail. Over 72,000 people are currently serving sentences in Nigerian prisons. Like the Agodi prison in the centre of Ibadan, most of the country’s prisons are overcrowded. A huge board at the entrance of the prison states that 1,189 persons are currently being held here – officially the prison has a capacity of 290 prisoners. The overcrowded prisons were the main reason why churches and civil society groups fought for a change in the prison system. A second reason was that the judiciary was not able to keep up with its caseload. “Mostly [prisoners] stay longer than they are supposed to. They stay awaiting trial. They stay six months, a year, without their case being tried. 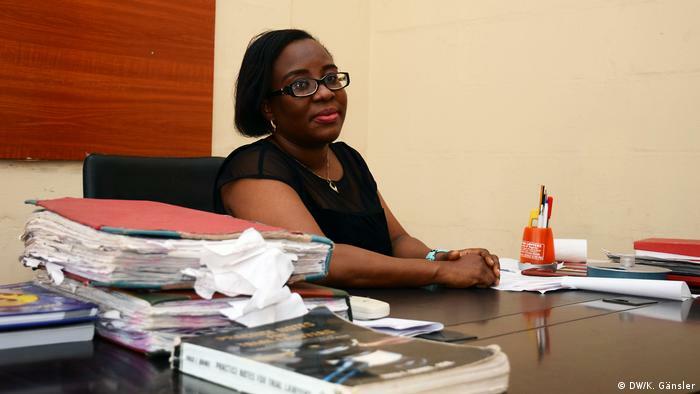 At the end of the day, when their case is being tried, they’re still given a sentence in prison,” says Tolulope Fayemi from the catholic-based Justice Development And Peace Commission (JDPC). Only 159 of the inmates currently in Agodi prison have received a verdict. As Fayemi explains, prisoners are routinely “forgotten” by the judicial system, especially when the people concerned have no money or influential contacts who could push their case forward. 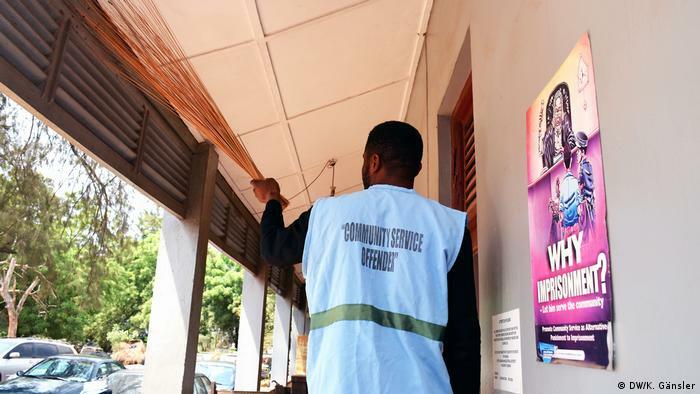 Apart from the business capital Lagos, Oyo is currently the only Nigerian state implementing community service. Between July 2017 and January 2019, a total of 124 persons were sentenced to community service hours. She believes that people should be given the chance to better themselves. There’s hardly any scope for that in prison. Both the government staff and the NGOs admit that the prisons are often a place where many people first come into contact with hard-core criminals – a perfect ground for recruitment for criminal networks. Being jailed together with hard-core criminals was also the main worry for the young man cleaning the corridors of the Ibadan court house. “Of course my wife is not happy about the situation,” he explains as he sweeps away cobwebs and dust. “But I can go back home and see my family every evening.” It also prevents awkward questions from neighbors and social exclusion. The offender, however, does need a guarantor so that he or she doesn’t run away, says Tolulope Fayemi.